Last night we went to my all time favorite restaurant: The Raymond. The building in which the restaurant is situated in has a rich and colorful past. 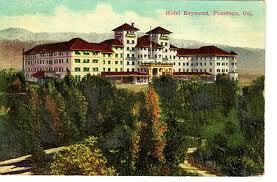 The Raymond was originally a hotel built in 1886 by Walter Raymond. In 1895 the hotel burned down and was rebuilt in a fashion that exceeded the excess and lavishness of the original. Sadly, in the midst of the Great Depression, the hotel was unable to stay afloat financially. As a result the grand hotel was leveled and a residential community took its place. All that remained was the workman's cottage which Walter Raymond and his wife inhabited until 1934. 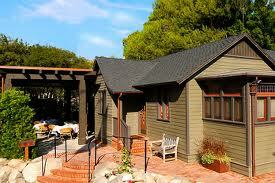 The workman's cottage is now the Raymond restaurant and offers not only exceptional food but a charming piece of Pasadena history. If you are from the L.A. area you should not only check out the restaurant but also an event going on right now called Dine L.A. Basically Dine L.A. is a celebration of "food culture" in the area in which participating restaurants offer prix fixe menus at discounted prices. My husband and I go a little nuts during this event and eat out almost every day for two weeks straight. My outfit represents some of the trends I have been seeing a lot lately such as bright neon colors and florals. The top is from H&M and the skirt is the No. 2 pencil skirt from J. Crew (I have no idea what the color is as it is from last season). I love H&M for buying trendy pieces of clothing just to get a taste of a particular "fad" so to speak. At H&M prices you don't feel guilty when the clothing no longer looks as chic as it use to and the fashion world has moved on to something new! Meanwhile, I think it is important to invest in classic pieces of clothing, shoes and bags which you'll wear and love for ages. My shoes are Christian Louboutin Simple Pumps 70mm in black and my bag is the Chanel Jumbo Flap in black Caviar leather. These are pieces that I hope to be using when I am 100 years old! The H&M top probably won't be in style and possibly won't fit (especially if I keep eating out so much!) but at $24.95 that's fine with me!